As Thomas Carney reviewed his building’s expansion options, it became clear that only one truly made sense. Carney, president of Royal Basket Trucks, had been looking to increase the company’s production rates to better meet growing customer demand. To accomplish that goal, the initial thought was that Royal Basket Trucks needed to expand its existing facility with a new wing — a costly option that would take a minimum of six months to complete. 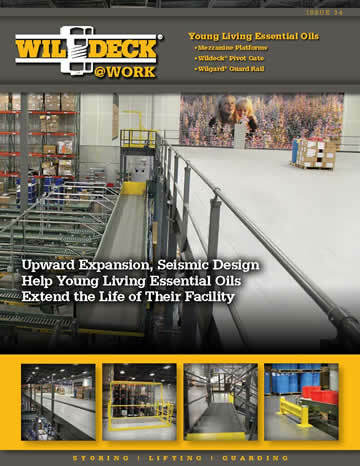 But after speaking with Wildeck, a new alternative emerged that proved to be a winning combination — optimizing the existing facility with a new work platform and Delta™ Lift vertical reciprocating conveyor (VRC). Darien, Wis.-based Royal Basket Trucks is a manufacturer of basket trucks and specialty laundry carts. Every product is made to order, a philosophy that allows the company to customize wire frame carts by making size modifications specific to a customer’s environment. 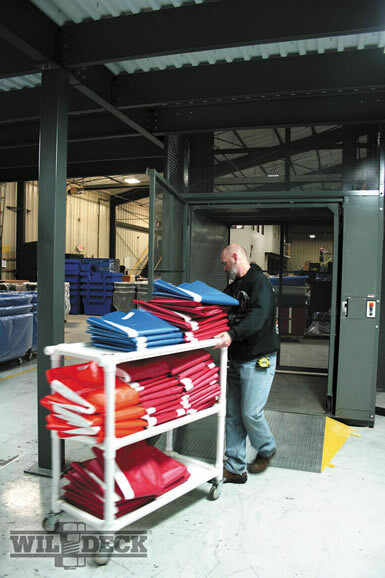 Having full welding and industrial sewing departments located in its Darien facility enables Royal Basket Trucks to produce orders on a short timeline to better meet its customers’ needs. 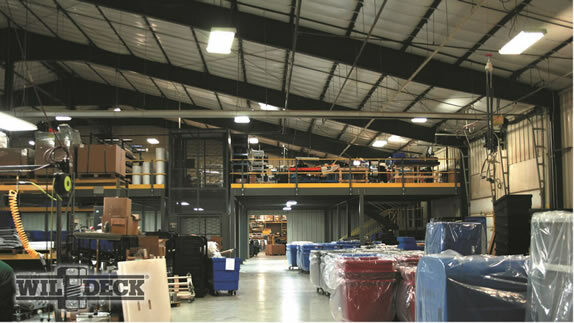 At the heart of their dilemma, Royal Basket Trucks needed to improve operational efficiencies within their existing facility space. 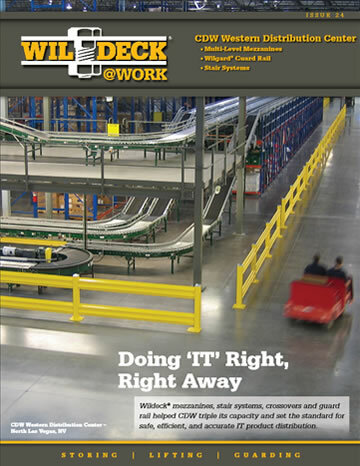 Wildeck recommended locating materials and production closer together to improve product flow. A large, unused space in the facility proved to be the perfect location to accomplish this using a work platform and VRC. The task was to build a 40 x 120 foot work platform that would be used for production, and relocate materials and other supplies underneath it. Moving materials back and forth between the ground and upper level would be handled by the VRC. The work platform now houses four sewing machines, shelving and other production equipment — all of which are serviced by about 20 employees at any given time. Workers access the work platform using a Wildeck® structural steel staircase, while the VRC carries only materials. Lehman said the solution developed for Royal Basket Trucks is one that can be applied to thousands of manufacturing and industrial applications that are looking to expand their capabilities, but without expanding their facilities. Another benefit of the work platform was added employee safety. 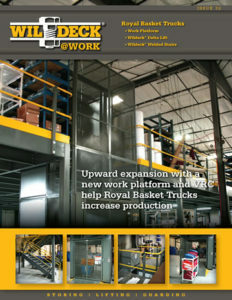 The entire process, from Wildeck’s initial visit with Royal Basket Trucks, to installation only took a few weeks. 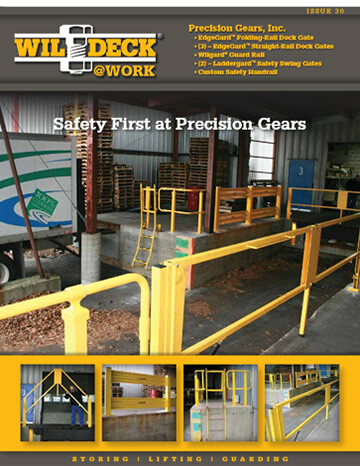 Wildeck’s prompt customer service was one of the primary drivers in getting this work platform and VRC specified and installed in such a short amount of time. “The way this project came to fruition and how we worked with Royal Basket reinforces every reason why I work for Wildeck,” Lehman said. “From taking measurements, making the drawings, working with Royal Basket and how smoothly everything went, this project is a great illustration of why we’re the best in the industry. 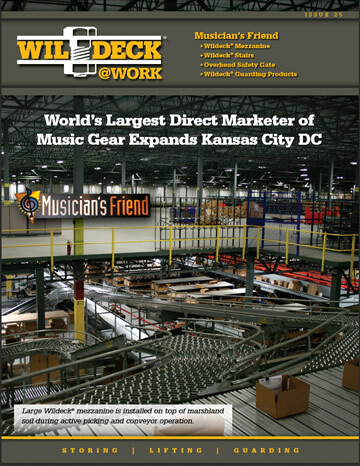 Wildeck’s high level of customer service made a difference in getting the project completed on time and on budget.